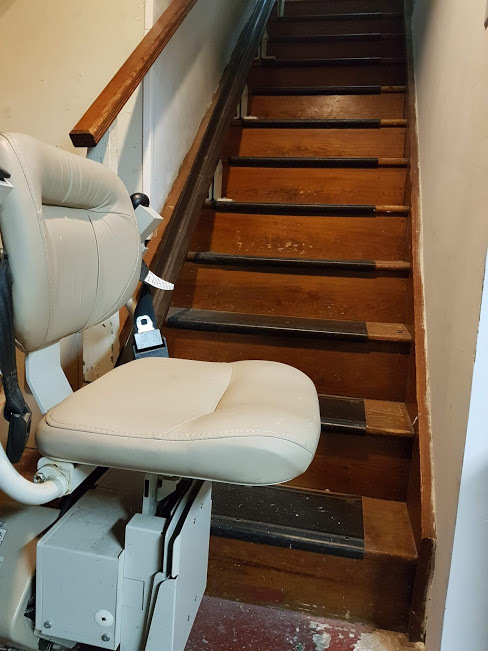 This stairlift has a chair and battery pack. It is an older model that I got for free from a neighbor about 10 years ago. Since we no longer need it, I thought I'd pay it forward to anyone else who may find it useful. 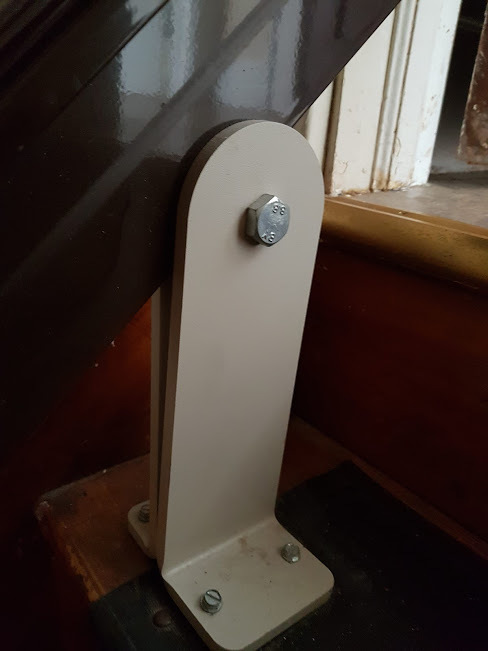 The railing is 12 feet long and attached directly to the risers, about every other one. The rail is VERY heavy, so be prepared to have help lifting it to your vehicle. You can detach it yourself, or I can get someone (my son!) to help. Just come and get it! 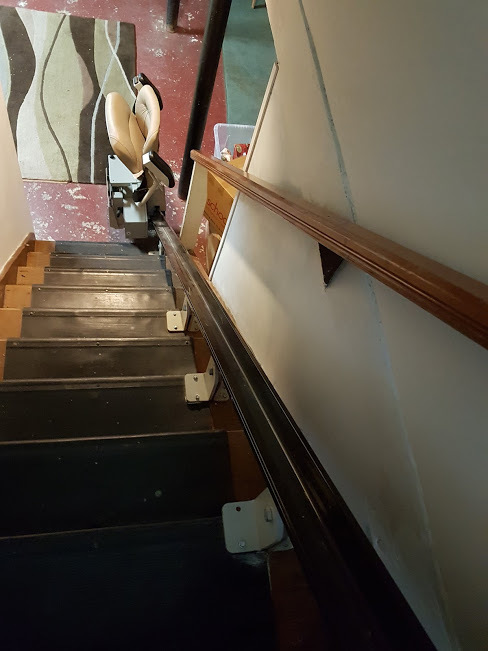 You will not have to carry it upstairs to get it outside; there is a driveway level door that can be used.